This highly-acclaimed film can be experienced at the new Commerce Center Cinemas which guarantee comfort and style for movie-goers. It has plush seats with wide leg rooms for the comfort of viewers while watching the film. "Boyhood" is touted as one of the most radically inventive film experience of the year. The director began filming in May 2002 to October 2013. It stars Ethan Hawke, Patricia Arquette, Ellar Coltrane and Lorelei Linklater. Critics lauded it as a groundbreaking film, heaping praises for its direction, acting and scope. Following the release of "Boyhood" are exciting Filipino movies such as Bonifacio, English Only Please, Feng Shui 2 and My Big Bossing and other entries to the upcoming Metro Manila Film Festival (MMFF). 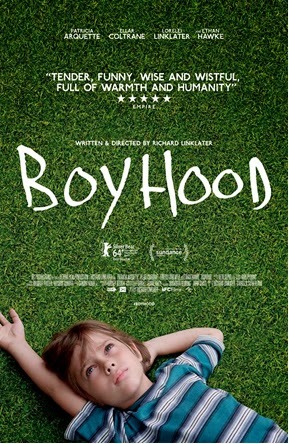 "Boyhood" opens December 3 at Commercenter Cinemas.